Wolf Creek Ski Area set to open on Saturday (photo courtesy of Rosanne H. Pitcher, Wolf Creek Ski Area). 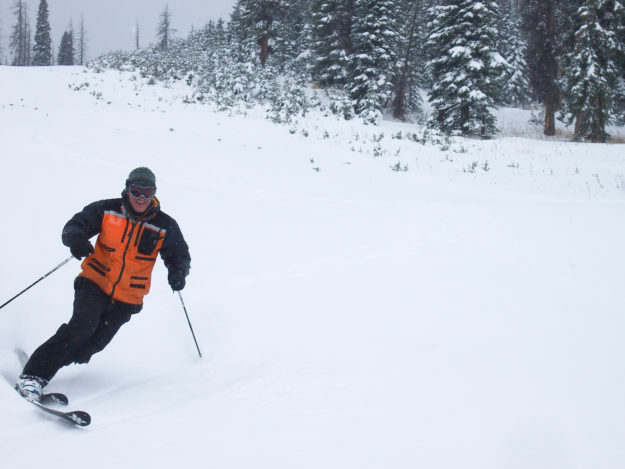 Wolf Creek Ski Area in southern Colorado is opening for the weekend on Saturday, making it the first in the state and nation to open for the 2018-19 ski season. Closer to home, Arapahoe Basin and Loveland Ski Area continue to make snow as Mother Nature cooperates with much colder temperatures and several inches of natural snow over the past week. Loveland has been making snow nonstop since Monday while also receiving several inches of natural snow. The ski area 45 minutes east of Vail on I-70 anticipates opening soon, as does A-Basin in Summit County, where crews have also been blasting snow nonstop since Monday. Vail will open for the season on Friday, Nov. 16. Beaver Creek will be open on Wednesday, Nov. 21. Wolf Creek Ski Area First to Open in Ski Country! Mother Nature blankets Wolf Creek Ski Area, Colorado with a 20 inch storm leaving an all natural settled base of 14 inches at the midway. This weekend Saturday, October 13th and Sunday, October 14th, Wolf Creek will open with Treasure, Bonanza and Nova Lifts operating. This is Wolf Creek’s second earliest opening ever and the first ski area in the country to open this season. Wolf Creek is open for the season with weekends only until conditions allow full-time operation.Treasure Stoke, Bonanza and Nova Lifts will be turning from 9:00 a.m. to 4:00 p.m. with very early season conditions and obstacles. A Nova Only Lift Ticket with access to Nova and Susan’s runs will be $29 for adults, seniors and children. Access to all three lifts will be at the Local Appreciation rate of $50 for adults, $33 for seniors and $27 for children. The Wolf Creek Lodge will be open with a limited lunch menu. Pathfinder Bar will be open as well. The Ski School will be available for both adults and children, including the Wolf Pup Program. The Ski Rental and Boarder Dome will be open, as well as Treasure Sports. Accommodations can be found in the mountain towns of Pagosa Springs and South Fork. Lodging information can be found, along with the most up-to-date snow report, by visiting WolfCreekSki.com. We are excited about the snow and this season’s improvements. Wolf Creek invites you to explore Wolf Creek’s website atwww.WolfCreekSki.comPlease read the attached message for a summary of the 2018-19 season’s improvements.